St. Martin's Griffin, 9781250121882, 352pp. At the beguiling age of sixteen, Natalya Goncharova is stunningly beautiful and intellectually curious. At her first public ball during the Christmas of 1828, she attracts the romantic attention of Russia’s most lauded rebel poet: Alexander Pushkin. Finding herself deeply attracted to Alexander’s intensity and joie de vivre, Natalya is swept up in a courtship and then a marriage full of passion but also destructive jealousies. When vicious court gossip leads Alexander to defend his honor as well as Natalya’s in a duel, he tragically succumbs to his injuries. Natalya finds herself reviled for her perceived role in his death. 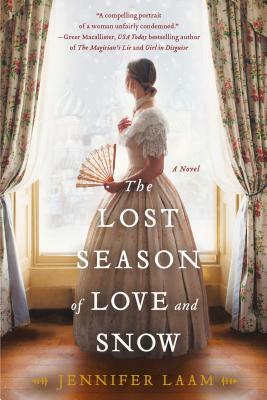 In her striking new novel, The Lost Season of Love and Snow, Jennifer Laam helps bring Natalya’s side of the story to life with vivid imagination—the compelling tale of her inner struggle to create a fulfilling life despite the dangerous intrigues of a glamorous imperial Court and that of her greatest love.